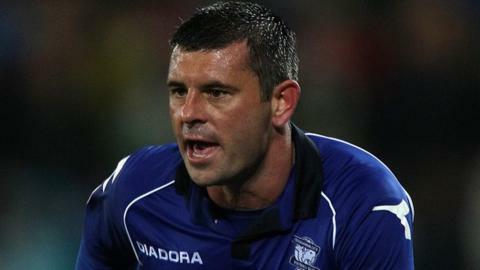 Birmingham City left-back Paul Robinson has signed a new one-month contract with the Championship strugglers. The 33-year-old former West Bromwich Albion favourite's previous short-term deal was due to expire on Friday. But his stay has been extended until 26 November, starting with Saturday's trip to another of his old clubs Leeds. Blues boss Lee Clark originally brought Robinson out of semi-retirement in response to a luckless early season run of injuries in their back four. After an initial season-long loan move to Bolton was made permanent in 2010, he made a total of 87 appearances. Robinson had not played since finishing last season out on loan with Leeds, having then been released by relegated Bolton Wanderers. But Clark, already without injured skipper Stephen Carr, who has a career-threatening knee injury, brought him in when he suffered three further injury blows. Season-long loan signing Paul Caddis is expected to be out until Christmas after undergoing shoulder surgery. Blues then lost David Murphy with a torn hamstring midway through the first half of last month's nightmare 5-0 home defeat by Barnsley, as well as losing Pablo Ibanez, who is still not back after breaking a bone in his foot. And Robinson, who has already made four Blues starts - including a debut victory at then leaders Brighton - is now signed up for another six matches.